Last month C3G gave you an assembly of antagonists and now C3G gives you Super Secret Exclusive: Antagonists Assemble! Check out the continuation of Patriot Games ... If you missed Part 1, read it here. Beneath his helm, a wry smile crosses Obadiah Stane's face. 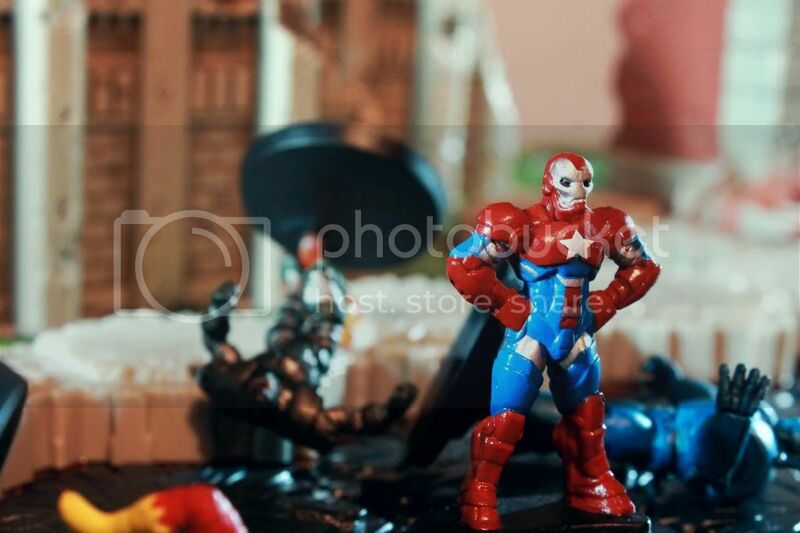 "Well, looks like the Armored Avenger has arrived... new look, Tony? Never really pictured you as the flag-waving type..."
The mysterious man in red, white, and blue stands still, hands on his hips, silent as a ghost. "And you're usually a fan of the trash talking! But it looks like you want to get right down to business." Rows of jets on his back begin to glow. "That's something I can respect." Before the eyes can follow, the lumbering iron beast cruises ahead, and his fist connects with the full force of a train at mach speed. His target barely reacts, his pose unchanged. "Bullski!" shouts the Iron Monger, "keep him low with those rings!" Titanium Man zooms in close and does just that; his target, again, seems unphased. "Now Gilbert, light him up!" 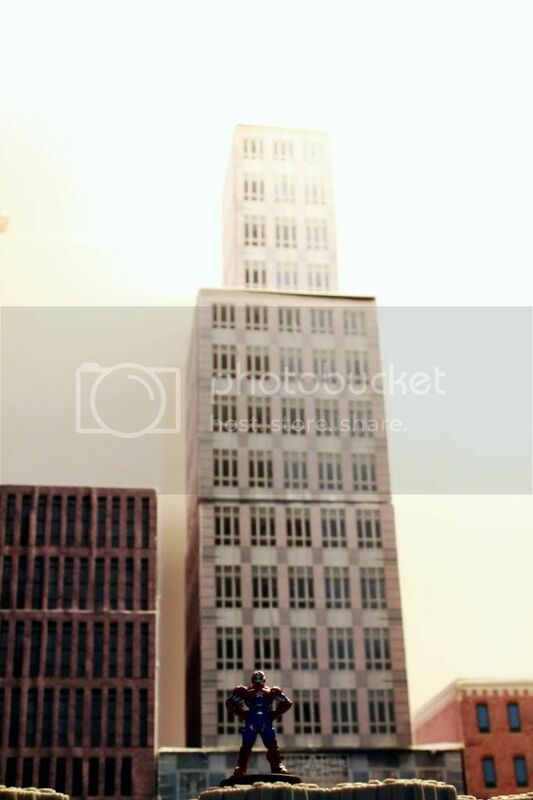 Twin jets of flame consume him as the public below gawks and glares at the clash above the city streets, their would-be hero cloaked in an inferno, visible only to the man right in front of him. Stane watches as the armor turns a vivid, near-molten red. "Sweating yet, Tony? Can't take the heat? I know, it's a bit overwhelming to deal with all of this at once. Can't blame you if you're a bit off your game. I can't let you go..." He raises an iron fist. "But I can't blame you." And swings. High in the sky, Stark watches with rapt attention as the battle turns on a dime. "Who IS that? He knows how to fly... is it Rhodey? I hope it's Rhodey. Wait, no, please not Rhodey, guy's shooting like an amateur. And looks like crap." Shots are fired faster than the camera crew on the ground can react - Stane is thrown to the street below, Titanium Man shot down in a hail of bullets, his arsenal seemingly useless against the armored ace. Firebrand engages soon after and, with a knee to the face, is taken out just as quickly. 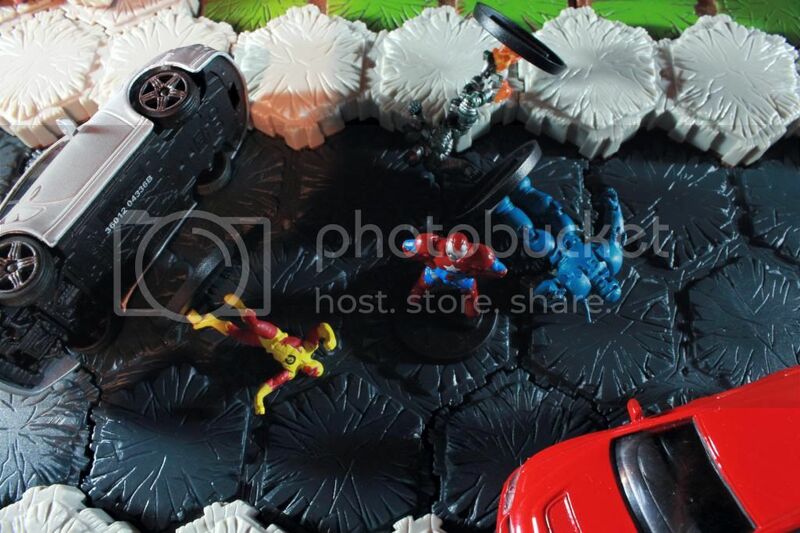 Just as Iron Monger begins to climb up from the asphalt, "Iron Man" lands - on top of him. His big blue suit shatters, and it seems likely the man inside does the same. A helicopter begins to circle just as the news crews approach. The mob is incoherent - only the closest reporters can hope to get a word in. "Ned Leeds, Daily Bugle - Tony Stark, any statements on your whereabouts for the past month? What's with the new look? And how are the Avengers working to counteract the influx of super-criminals on New York streets since the end of last month?" "First things first, Ned," he says, "I'm not Tony Stark. Tony Stark clearly has better things to do than clean up the messes he started - a city held hostage by men using his tech, men using tech developed by him, men using skills he taught them. Men that should never even have started - men that I knew, and we knew, had to be stopped." "I'm the first in a new class of hero. The sort of hero this country needs. The Avengers are out of style! Their enemies have been wreaking havoc for weeks now, and not a single hero's appeared to stop them. I've offered my services to the U.S. Government, and this Independence Day you'll be introduced to the NEW Avengers!" The crowd buzzes with anticipation as the reporter scribbles a quote into his notepad. "Just one question - any chance we can get a name for the byline?" He chuckles. "Ha ha, fair enough. Should have taken this mask off when the fight ended, huh?" With a click, it unlatches. 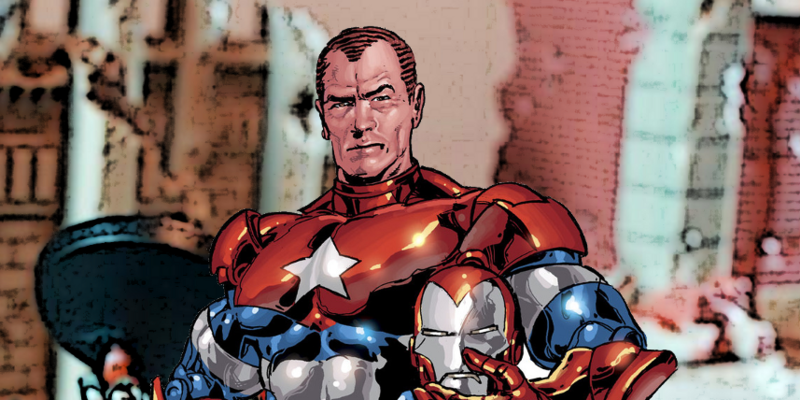 "My name is Norman Osborn - but you can call me the Iron Patriot!" Osborn arrives at the gate to the Forum, still dressed in red, white, and blue. Luthor, in purple and green, aids as a pit crew strips him down. "Amora!" he barks, kicking off his iron greaves, "Be sure Stane gets his paycheck ASAP. He shouldn't know Oscorp was his hire, but I'd rather not any loose ends." Armor in pieces, he slips out of his flight suit and pulls on a pair of dark green slacks, a heavy suit. "Act One's over." He straightens his tie. "Time to assemble some Avengers." Last edited by Hellfire; May 24th, 2013 at 11:19 AM.